Extended summary in English of PhD-dissertation by Johnny Grandjean Gøgsig Jakobsen, submitted to the University of Southern Denmark on 31 January 2008 and defended on 12 June the same year. An edited version of this summary is published in ‘Dominican History Newsletter’ vol. 16 (2007). Link to full dissertation (in Danish). The aim of my PhD-dissertation is a rather ambitious one: to analyse and identify ‘The role of Friars Preachers in medieval Danish society’ [original title: Prædikebrødrenes samfundsrolle i middelalderens Danmark]. The Order of Friars Preachers arrived in Denmark in the early 1220s and remained here for the next 300 years until the friars were forced to leave in the 1530s due to the Lutheran Reformation. By that time, 15 Dominican convents existed in Denmark as part of the Nordic-Dominican province of Dacia with a total of 31 convents. Potentially, this ought to have made the Friars Preachers quite a significant part of ecclesiastical life and, thus, an important factor in overall society in High and Late medieval Denmark. Whereas this topic of the friars’ role in everyday life has gained increasing interest in studies from other parts of Northern and Western Europe in the last 30 years, it has been left rather untouched in Scandinavia and Denmark. Therefore, my dissertation wish to look at the Dominican convents and priories in medieval Denmark as an integrated part of society, by describing some of the various ways in which a convent interfaced with the surrounding society. My method has been to make a complete(-as-possible) registration of all written evidences from the Middle Ages and the following century even remotely mentioning Dominican friars or their priories in Denmark. Based on this material, I have taken up a number of themes and questions concerning the societal role of the Friars Preachers, which I have analysed partly through the preserved material from Denmark, partly by comparing the Danish material with the above-mentioned studies from abroad. The themes chosen for analysis are: preaching, terminationes, public use of priories, relations to the secular church, relations to different social groups, geographical location of priories, possession of property, and participation in the Inquisition. Each theme is given a chapter of its own, starting by identifying the related traditional views and discussions, and as it turns out, practically none of the (at least in Denmark) commonly met traditions about the Dominicans is left completely ‘untouched’; most of them need a significant light and shade, while others can be completely dismissed. Preaching was of course the central element for the Order of Preachers. In the first thematic chapter of the thesis, I have, therefore, tried to describe Dominican preaching in both practice and content: where and how did the friars preach - and about what and why? I have started by explaining the high- and late medieval need for qualified preachers, perhaps not least in Northern Europe, where preaching - even after the Forth Lateran Council - seems to have played a rather secondary role in the pastoral services of most bishops, canons and parish priests. Besides a shortage in both quantity and quality of secular preachers, I have suggested that the secular priests seem to have concentrated their efforts on administering the Sacraments. Actually, it could even appear as if many bishops made use of Dominican preachers to comply with Canon 10 of the Lateran Council about promoting more preaching in their dioceses. 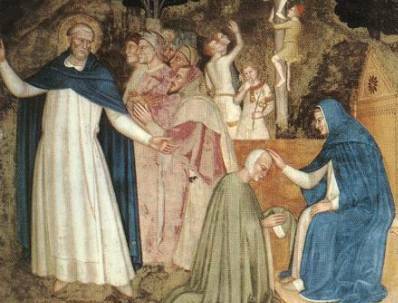 Especially in the second quarter of the thirteenth century, the bishops seem to be the primary initiators of numerous Dominican convent foundations in Denmark as in the rest of Northern Europe. In Denmark, it is difficult to find any specific mentioning of Dominican preaching at all, but we do have a letter from 1489 describing how the parishioners of two parishes in a rather remote part of northern Jutland explicitly had invited mendicant preachers to preach in their churches, and the bishop of Odense allowed Franciscan and Dominican preachers to perform services in the cathedral in 1316. Also, we have several incidents of Dominican sermon collections changing hands within the secular clergy of Lund, Roskilde and Ribe (e.g. the Summa Guiotina by Guy d’Évreux and the De tempore et de sanctis by Jacques de Lausanne). In addition, we actually have an example of preaching stationes (otherwise known in e.g. Flemish cities), as the three mendicant convents of Helsingør in 1446 had agreed to divide the preaching days at Christmas, Easter and Pentecost equally among them. In Scandinavia, we furthermore have an extant outdoor preaching pulpit on the walls of the Dominican church in Sigtuna, indicating preaching for an outdoor audience at the churchyard. Compared to the general scarcity of Dominican sources in Dacia, we are actually not all that bad off in concern of preaching material. Apart from the imported sermon collections, the Danish friar Mathias Ripensis is the author of a preserved sermones de tempore from around 1300. A handful of other lost sermon collections of Danish origin is known indirectly from various registers. In addition to this, it is worth mentioning the Norwegian Dominican Jon Haldórsson, who became bishop in Skálholt on Iceland (1323-1339), where a number of exempla used in his preaching are preserved in the Icelandic literary tradition. Finally, a small Dominican bible from the late thirteenth century, which has belonged to Fr. Canutus, prior provincial of Dacia in the early fourteenth century, is preserved, and in the bible is a number of personal additions, possibly made by Fr. Canutus himself, showing how the bible was used in practice by the preacher ‘on location’. 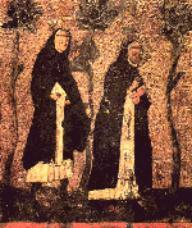 As a special niche within Dominican preaching, I have pointed to the friars’ involvement with preaching the crusades, which especially in the regions around the Baltic Sea appears to be a rather important Dominican activity in the thirteenth century - not just important for the promotion of the crusades (to Prussia, Livonia, Estonia and Finland, as well as to The Holy Land), but possibly also important for the foundation of several convents in Sweden, Northern Germany and Poland. Traditionally, mendicant studies have focused on the friars’ urban activities, first and foremost in the hometown of the convents. A number of NW-European studies within the last 25-30 years have, however, pointed to quite a significant importance for the rural activities of the friars, both economically and pastoral. Even in highly urbanized regions such as Flanders, Alsace, the Rhineland and along the north German coast, the termini and the terminationes of the Dominican convents seem to have played an important role, and in Scandinavia, where even the largest cities were no match for the Flemish and German ones, Dominican terminationes must be expected to have been even more important. From Denmark, we are very far from having as much knowledge on Dominican termini and terminationes as in Brittany, Flanders or Germany, but we do have some interesting indications of the phenomenon. Firstly, a couple of papal bulls from the thirteenth century specifically addressed to the friars in Dacia grant them certain privileges in regard of residence and eating during travelling, which strongly point to terminatione. As mentioned earlier, Dominican preachers are known to have given services in the northernmost parts of Jutland in the 1480s, from where there were about 200 kilometres to the closest Dominican convents (in Viborg and Århus). Furthermore, a number of Danish incidents, where Dominican friars are reported outside their hometowns, could point to terminationes, although this is not actually said. 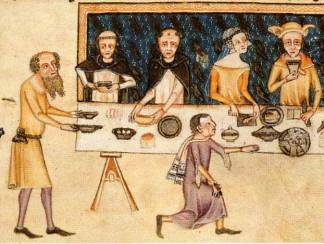 In Scandinavia, returning and well-described Dominican terminationes-conflicts are known from Stockholm between three local convents and on the Scanian herring markets between local Danish friars and visiting German friars accompanying Hanseatic merchants. Another indication of the importance of Dominican terminatione in medieval Scandinavia can be found in the fact that the access to do the terminationes was one of the most important restrictions against the mendicants by the time of the Reformation, and when the Swedish King Gustav Vasa in 1527 limited mendicant terminationes to 2 x 5 weeks a year, this was apparently the final deathblow to the mendicant orders in Sweden, where the convents basically all died out in the following year. Whereas Dominican terminationes obviously existed in medieval Denmark, only two certain evidences can be produced for a Danish domus terminarie (Slagelse and Malmö, the latter with a chapel). Certainly, the poor source situation may explain the limited evidence of Dominican domus terminarii in Denmark, but I would dare to suggest an at least supplementary reason, namely that the Dominican fratres terminarii in medieval Denmark to a very large part were offered accommodation by rural parish priests and the rural nobility - and perhaps also by Franciscan convents. In chapter 6, I return to what could be called the centre of Dominican life: the priory church, with special focus on the churches being “open to the rest of society” and, thus, the external use of the churches, first and foremost public attendance to masses and canonical hours (especially the vesper and the completorium with its Salve Regina-procession), the foundation of eternal masses, and external burials - all of it visualised by Danish examples. In a later chapter (10), I continue to look at the external use of the remaining priory buildings, which in some towns functioned as apparently rather integrated parts of society. First and foremost, this can be seen for the halls of the priories, such as the chapter hall and the refectory hall, which on several occasions were used for various types of public assemblies of different character. The list of such ‘external usages’ of Dominican priories in Denmark is quite long. The character and dimensions of the assemblies could vary from simple meetings between to parties, usually a negotiated agreement about the ownership of some land, to larger assemblies of political or jurisdictional character, going from local to regional, national or even international level. Especially the Danish kings Christian I (1448-1481) and Hans (1481-1513) systematically used Franciscan and Dominican priories as residence for their travelling royal court. The preference for mendicant priories for such purposes partly seem to be based on the fact that the priory hall often constituted the largest and most prominent meeting place in many Danish towns, but to judge from the Scandinavian material, another important reason was that the priory held some sort of neutral status in regard of the matter of the meeting. When, for instance, the Dominicans themselves were part of a dispute to be handled by the King’s Court, then the meeting was always allocated to other, neutral surroundings. Mendicant convent foundations also seem to have held a great importance for the towns in general. 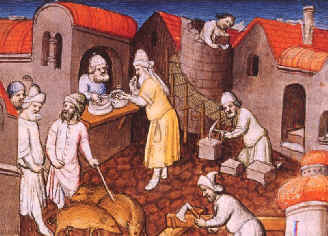 During the thirteenth century, mendicant priories became such a common and characteristic feature in urban Europe that town magistrates in places, which still not had a convent, showed a distinct interest in inviting the friars, and hereby aiming to increase and secure the urban status and privileges of their town. 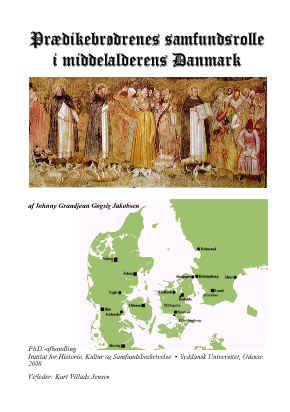 In Denmark, such a relation can be suggested for three smaller towns (Halmstad, Holbæk and Vejle), which in the period 1250-1340 all received urban privileges and Dominican convents within a narrow span of years. To judge from a lot of post-medieval literature the relation between the mendicant orders and the secular church (i.e. parish priests, canons and bishops) was extremely unfriendly. They are usually described as to rivalling organizations competing for the same market, and one chapter is therefore dedicated to the potential and actual conflicts between secular clerics and Dominicans in Scandinavia and Denmark - where in fact the best known cases of such strives are Norwegian, while we from Denmark just have a rather simple case concerning a dispute over a small street in Lund giving access to a parish church located next door to the Dominican priory. In fact, I end up questioning this scholarly tradition rather seriously, since I can find far more indications and solid evidence of very good Dominican-secular relations in the Danish material than I can of the opposite. The evidence and indications take many forms and levels. It is obvious that the first series of Dominican convent foundations in Scandinavia had a special preference for episcopal cities and other major ecclesiastical centres. I have suggested that an important objective of these foundations, in the eyes of the bishops, was to honour a decision of the Fourth Lateran Council about improving the educational standards for the diocese clergy in the cathedral schools – perhaps not so much by letting friars act as teachers in the schools, but by preparing the canons to perform the task. 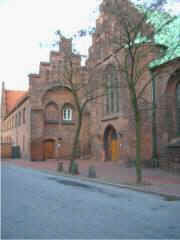 It is difficult to say to what degree this possible aim actually was achieved, since the educational standards of the cathedral schools in Scandinavia appears to have remained quite poor, but it is worth noting that no other group within Danish medieval society seems to have been so closely related to the Friars Preachers as the canons secular at the cathedral chapters, especially in Lund and Ribe, in periods also very much in Roskilde. 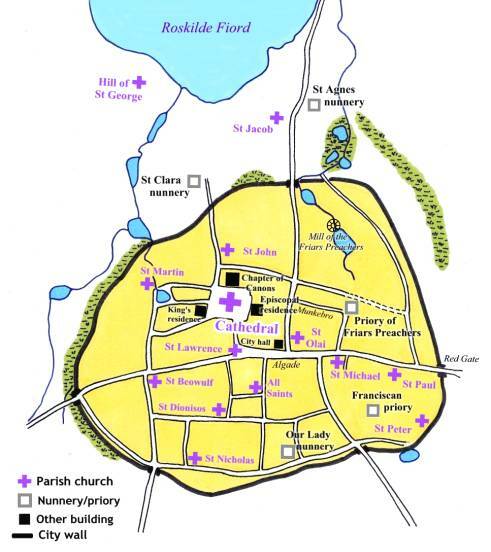 Whereas we have no specific evidence showing that the parish clergy benefited from Dominican teaching in the cathedral schools, apart from indirectly through the above-mentioned Dominican writings, another possibility could be that the clerics attended ‘open classes’ in the priory schools (which, however, cannot be identified in Scandinavia) or benefited from ‘on site-education’ out in the parishes; not only could the parish priests learn from listening to the sermons of the friars, but since it would appear as if the vicarages were perhaps the most important overnight residence for the terminaring friars, this certainly would bring about the settings for a good, educational talk between the priest and the visiting friar in the evenings. One chapter of my thesis is especially dedicated to relations between the Dominicans and various groups in medieval Danish society. The easiest way to measure social relations to the surrounding society is to analyse the recorded donations to the convents, or rather, the social origin of the donors. Of course, such an analysis holds several problems, especially the one that knowledge of big donations from high-ranking members of society are more likely to be preserved than more trivial ones, just as daily alms and small donations probably were not documented even to begin with. Still, we have to work with what we got. And for the Dominican convents in medieval Denmark, I have recorded a total of 190 donations of various types. The two major overall groups of registered donors to Danish Dominicans are the nobility (42%) and clergy (32%), especially the knighthood (16%), lower nobility (18%) and the canons of the cathedral chapters (22%). The royal and bourgeois donations are more moderate (6% and 13% respectively). It should be noted that this analysis only takes into account the number of donations, not their individual size. Among the most remarkable changes in the ‘social donor mix’ over time is a significant decline in the role of the clergy from being the most prominent donor group (43-44%) in the thirteenth and fourteenth centuries to a much more modest role (16%) in the sixteenth century. Also, we can note a steady increase in the role of the lower nobility (from 8% in the thirteenth century to 24% in the sixteenth century), whereas bourgeois engagement mainly can be noted in the fifteenth century: 0% (13th), 13% (14th), 21% (15th), 8% (16th). In contrast to other regions of Northern Europe, the various guilds of late medieval Denmark can hardly be ascribed any major importance for the Dominican convents - or vice versa. Closely related to the question of donors is the question of from which groups in society the mendicant orders recruited their friars. In regard of identifying social backgrounds of Dominican friars, the Danish material is too limited to say anything on its own, but when compared with the foreign figures and the analysis of the Danish donors (whom, it can be argued, are likely to have some social similarity with the potential ranks of recruitment), it is perhaps interesting to note some clear similarities. The (not so) grand total of socially identifiable Danish Dominicans is eight: one former bishop, two former canons, one parish priest, and four lay people of lower nobility (one being the nephew of a known canon). With an educational background as half historian, half geographer, I have a natural interest in the physical location of the Dominican priories within the medieval urban geography. For one chapter, I have therefore used local-historical studies of others to create a series of reconstructed city maps of all 16 ‘Dominican cities’ of Denmark, (for the first time) presented in a standardised and therefore easy-comparable form, pointing out various urban features considered important for the analysis: the borders of the late medieval urbanised area, location of known gates, streets and alleys, castles, city halls, cathedrals, parish churches, episcopal and canonical residences, monasteries and priories – and among these of course the Dominican priories. 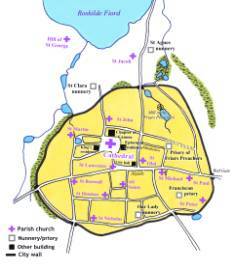 In the cases, where it is known, I have also marked the specific location of the Dominican priory church. In my analysis of the Danish Dominicans, the old discussion of centre versus periphery has little meaning, as most cities and towns in medieval Denmark were of such a limited size that a priory could indeed by situated quite central and still have a priory site reaching all the way out to the town border. In fact, such a ‘combined central and peripheral location’ can be identified for no less than 11 out of the 15 Danish-Dominican priories. 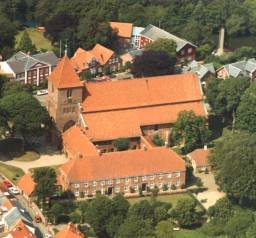 Roskilde is a good example of this; the priory site takes up a good deal of the north-eastern part of the city area, all the way out to the wall, but from the priory’s entrance there is only a five minutes walk to the cathedral, the episcopal residence, the canons’ residence and the city hall. In three cases (Schleswig, Haderslev and Helsingør), the priory was situated just outside the official city wall close by a gate. In fact, a location near important city gates and the main streets seem to be the one most characteristic feature for Dominican priories in medieval Denmark. A geographical issue, which I have grown especially interested in, is the location of the church within the whole priory complex. Since most of the Dominican priories in Denmark are long gone, and in several cases only sparsely excavated archaeologically, we can only with certainty identify the church location for 10 of the priories: here we find six to the north and four to the south. Furthermore, the location of the church was in no way coincidental: southern churches can be found in priories situated in the northern parts of town, vice versa with northern churches in southern-located priories. The logical explanation for this seems to be that the friars wanted to situate their church as close to the most publicly trafficked areas as possible. In one of the final chapters, I focus on Dominican possessions of property outside the priory walls in medieval Denmark, and how this could effect the convents’ relation to the rest of society. Going through the Danish material, I have found a total of 79 incidents of Dominican-owned property outside the priory walls. In 41 cases, the property in question was situated in or just outside the hometown of the priory, nine incidents are concerned with possessions in other towns, while 24 refer to some sort of rural estate; the remaining five incidents only use the unspecific mentioning of “some estate”. In 20 cases of the urban possessions, the records specifically term the property in question as a ‘farm’ (Lat. : curia; Da. : gård), which in spite of its rural ring also is the commonly used term for urban houses in medieval Denmark. All Danish convents, except for three, are known to have had at least one such farm somewhere in their hometown. My comparative studies of the conditions in North-Western Europe may point to a rather interesting observation in this regard. It is in the most urbanized areas of Flanders and the north German Hansa cities that we find the apparently most obedient convents in regard of not owning property - probably due to more restrictive and powerful city magistrates, wishing to keep the urban territory on lay tax-paying hands. On a smaller scale, something equivalent may be observed in Denmark, where it generally is in the smaller ‘Dominican towns’ that we find the largest numbers of urban property held by the friars. Most Dominican-owned urban houses and gardens seem to have brought in an extra income from renting it out to tenants, and my dissertation gives a number of detailed examples of this. Especially in Vejle, the Friars Preachers can be seen to have played a significant role in society as holders and letters of real estate. While most of the residential possessions appear to have been used for rental purposes, the friars kept a number of vegetable gardens and meadows in the vicinity of the priory for their own use. Furthermore, within the priory walls most convents seem to have had rather large sites, usually around 2 hectares, of which a significant part was used for gardening. Especially it is worth noting that almost all Danish priories explicitly are known to have had orchards, something otherwise not so common in medieval Scandinavian society. The final thematic chapter of the dissertation looks into the role of Danish Dominicans as inquisitors. Especially the fight against the enemy within, the heretics, have played a significant part in modern times’ conception of medieval Dominicans. Even in present-day Denmark, where little acquaintance otherwise can be expected in regard of medieval friars, the filmed version of Umberto Eco’s novel Name of the Rose has made it common knowledge that the Dominicans were in charge of the Inquisition - something which has not exactly improved the friars’ reputation. As it turns out, a report on ‘Dominican Inquisition’ in medieval Denmark or even Scandinavia would be extremely thin. 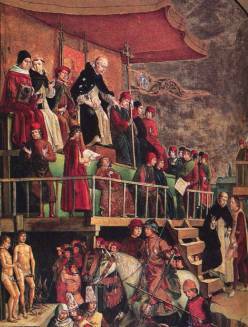 Although the Inquisition is known to have played some role in the north German and Polish areas just south of Scandinavia, it never really crossed the borders to the province of Dacia, and the few inquisitorial incidents, we can find in the sources, point more to the Franciscans, who held the office as ‘papal inquisitors’ in Dacia in the fifteenth century – although apparently without having to deal with any known cases. Dominicans from Sigtuna and Visby did, in fact, act in two recorded cases as inquisitors and witnesses against local, individual heretics, both from the fourteenth century, but in each case the whole thing was dealt with locally under the jurisdiction of the local bishops – not as a part of the Papal Inquisition. Apparently, the main reason for this lack of Dominican inquisitors in Dacia is that actual heretic movements never reached Scandinavian latitudes, at least not until the 1520s, and until then, Scandinavian heresy was characterized by individuals. If heretics had occurred here on a larger scale, especially in the thirteenth or fourteenth centuries, it is quite likely that local Dominicans would have been enrolled in the fight against them, as they were in Poland. Actually, we do know of one Danish Dominican involved in the Inquisition, but this all took place far abroad, as Fr. Ivar Johansen of the convent of Haderslev in 1474 was assigned to the Italian convent of Padua as novice master, and the following summer was appointed socius for the inquisitor Jacobus Perez de Valencia by the master general. 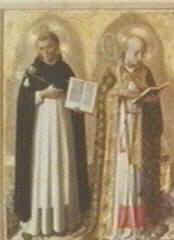 Furthermore, by the Reformation, Danish Dominican leaders naturally took part in the defence of the orthodox Roman-Catholic Church, such as Provincial Fr. Hans Nielsen, but there is nothing to suggest that any of them did this as papal inquisitors, only as good Catholic Dominicans. The conclusion of this inquisitorial quest therefore seems to be that if the classic view among historians as well as in ‘lay circles’ about Dominican participation in the medieval Inquisition needs to be re-defined for Europe in general, this is even more the case in the province of Dacia. Fortunately, for students of Dominican history in medieval Scandinavia, the Friars Preachers of Dacia were able to find numerous other interesting and important projects to engage themselves in. 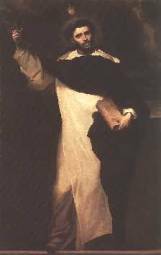 In the conclusion, I have tried to present the main observations of the nine thematic chapters by looking at the whole thing from two somewhat different angles, with the hope of hereby cutting across the thematic lines of the study in concern of the societal role of the Friars Preachers. The first angle takes off in the collective interface for different social groups with the Friars Preachers, seen from the perspective of the members in each group. The other angle puts focus on possible changes in the societal role of the Friars Preachers, which my studies indicate might have taken place during the 300 years with Dominicans in Denmark. And as an overall conclusion, in all of this period, the friars certainly do seem to have played quite a significant, many-sided and dynamic role on several levels and for numerous groups of people in medieval Danish society. With my PhD-dissertation, I hope to have shown this on a number of chosen societal themes, and, hopefully, hereby contributed to an increased understanding of and interest in the heterogenous work of Friars Preachers in high and late medieval Denmark.